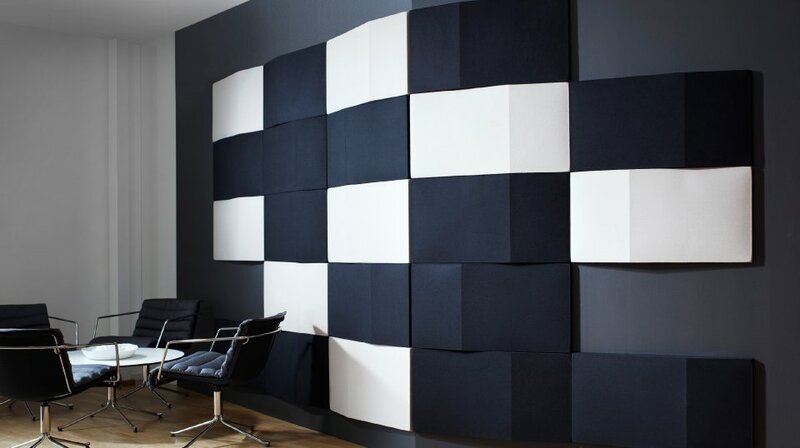 Acoustic wall panels provide a relatively inexpensive solution to reducing noise in the workplace as well as providing a great opportunity to add design interest with a combination of shapes,colours and textures. Standard shapes are shown here together with a unrivalled selection of colourful and sound absorbing fabrics. Our designers have worked with a number of customers to provide bespoke solutions to reflect the company's image and culture as well as the space allowed. We have worked on a wide range of applications including factories, canteens and studios, where the addition of acoustic wall tiles has helped reduced ambient noise and aided productivity.